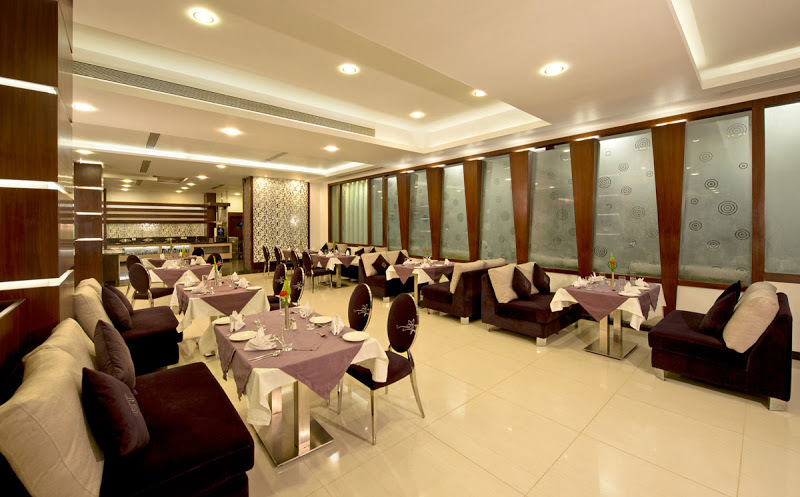 The ultra-modern ‘very spacious’ multi cuisine restaurant at lobby level that serves, Indian, Tandoor and International cuisines, keeping in mind the panoptic necessity of frequent travelers, either holidaying or for that busy business transits Also serves a “Power Lunch Buffet” from 12.30 PM to 3.00 PM; an “All Day Menu” of quick bites and refreshing quaffs. The restaurants also houses a "Private Dining / Party Area" for the groups who would like to celebrate the occassion with a little privacy added with our specialised services. “Hi-5”, as the name indicates, is about celebration among friends for a reason special to you. 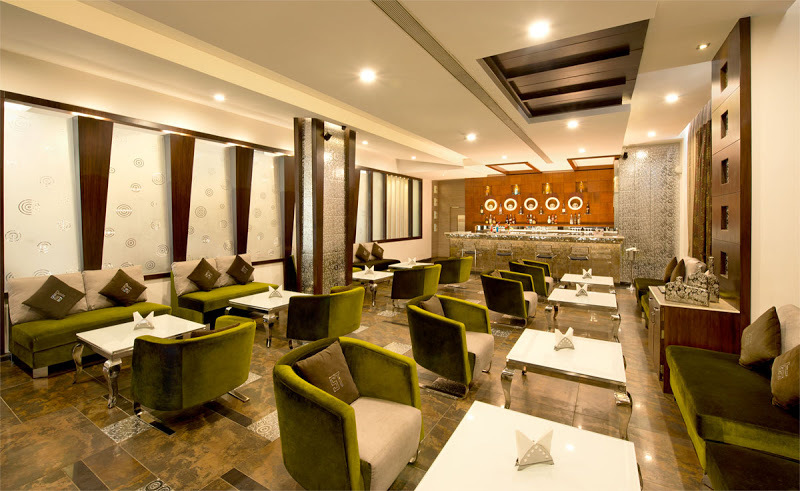 A very different lounge-bar situated at lobby level with comfortable sitting, attached with a “Smoker’s Room”, that serves ‘elegant mixed drinks’ or those very straight ‘on-the-rocks’ with your favorite ‘crunches for munchies’. Soothing lounge music is what we (also) ensure at ‘Hi-5’ as “Stress-Busters”.